Q. I am writing a philosophy paper on happiness what are some books that i might be able to use? The easiest way to find books and ebooks that you may use is through the library's online Discovery system, linked on our home page. 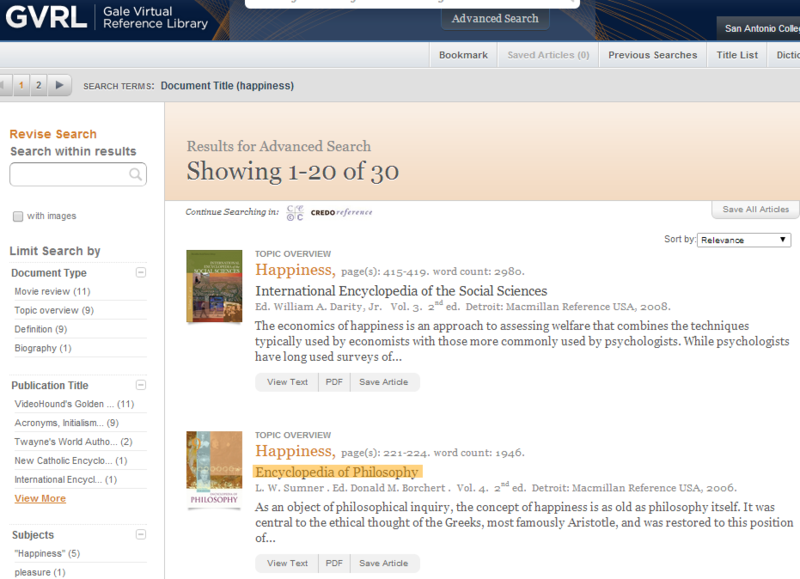 Be sure to do a Subject search for happiness to get items that are really on that subject. If you do a Keyword search your results will also include entries with the word happiness in the title or in a contents note for an entry. Here's a subject search that I did in Discovery for happiness. 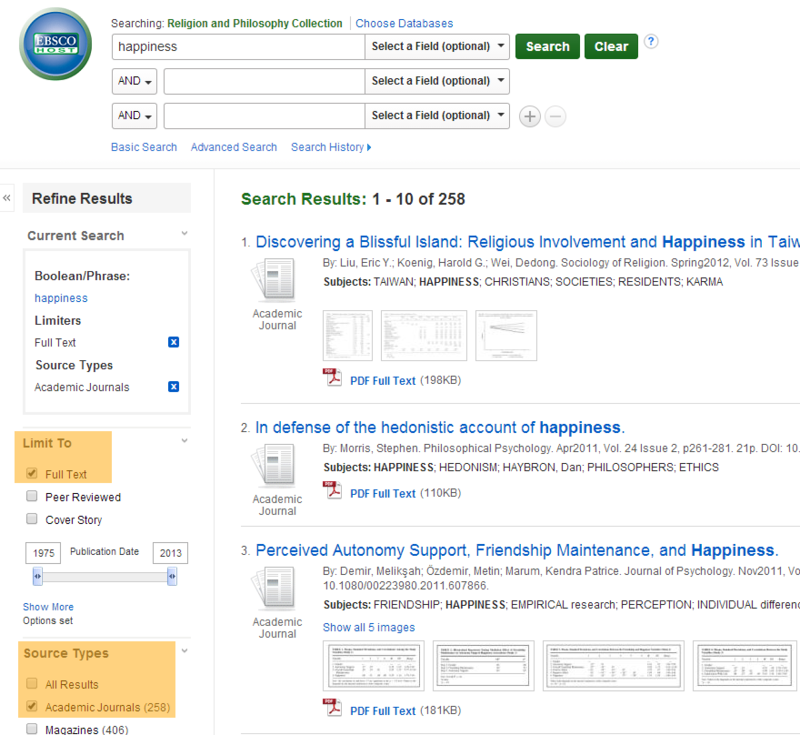 If you also want to find other types of resources on happiness you should browse resources organized under the Use a specific database link on the library's home page. 2. For scholarly articles in journals search in Academic OneFile, Academic Search Complete, or JSTOR. Just search for happiness (or, again, happiness and philosophy). You may also want to click on the check box for Full Text and for Scholarly or Peer Reviewed, to limit your search results to those items that from scholarly sources and that are online for ready access. JSTOR is all full text from scholarly journals, so JSTOR has no check box for full text and no magazines. Remember, all the online databases will provide citations for each entry or article. Just look for the citation tool. Good luck with your research. Thank you for using our Ask a Librarian service.